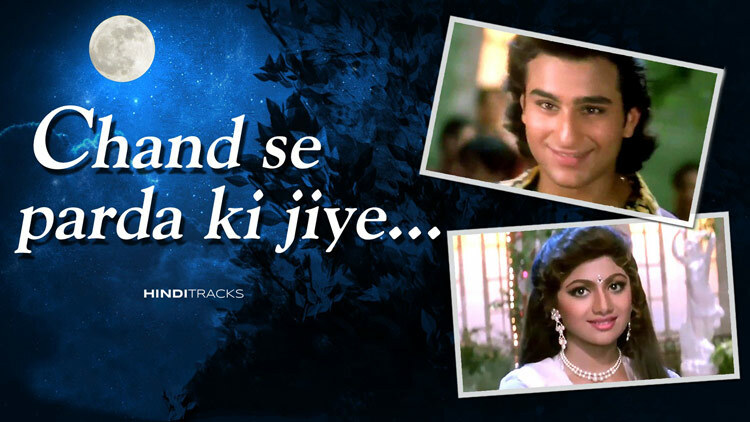 Chand Se Parda Kijiye Hindi Lyrics form movie Aao Pyar Karen (1994) sung by Kumar Sanu featuring Saif Ali Khan and Shilpa Shetty. The song is written by Shyam Raj and composed by Aadesh Shrivastava. होठों पर खिल गई कलियाँ बहार की..
ऐसी सादगी तो है ख़ुद में बेमिसाल..
कहीं चुरा ना ले चेहरे का नूर..
ऐ मेरे हम नवा.. ऐ मेरे हुज़ूर..